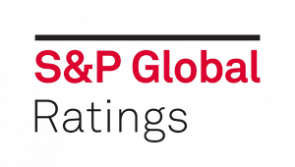 Credit rating agency S&P Global Ratings says the stand-alone credit profiles of New Zealand's big four banks, and those of their Australian parents, could improve if the Reserve Bank's proposals to make NZ banks hold more capital come to fruition. The issuer credit ratings on New Zealand's major banks are unlikely to change, however. S&P has an 'AA-' issuer rating on each of ANZ NZ, ASB, BNZ and Westpac NZ with a negative outlook. S&P says the stand-alone credit profile of one or more of ANZ NZ, ASB, BNZ and Westpac NZ could be increased to 'a-' from 'bbb+' if the Reserve Bank proposals are implemented. And if their Aussie parents choose to inject capital to meet the Reserve Bank proposals, this could lift their stand-alone credit profiles to 'a' from 'a-'. A stand-alone credit profile is S&P's opinion of a debt issuer's creditworthiness, in the absence of extraordinary intervention from its parent or affiliate or related government, and is one component of a credit rating. (See credit ratings explained here). "We are of the view that a five-year transitional period to implement the proposed changes appears to be sufficient and that capital initiatives such as reducing dividends or injecting capital should get the banks that need to raise the most capital - the New Zealand major banks - across the line depending on market conditions. It is also our view that the ability of the New Zealand major banks to generate capital is supported by their robust profitability measured relative to international peers, based on their current capital levels," S&P says. For detail of the Reserve Bank proposals see interest.co.nz's three part series here, here, and here, and our video interview with Reserve Bank governor Adrian Orr here. "Although the capital increase for the New Zealand major banks would be significant, our issuer credit ratings on these banks are unlikely to change if the RBNZ proposal is implemented. We equalize our ratings on the New Zealand major banks with the credit profiles of their respective parent groups because we consider each of the New Zealand major banks to be an integral part of their respective group. Consequently, we expect that the parents are highly likely to provide timely financial support for the New Zealand major banks, if needed. Furthermore, we consider that the RBNZ proposal, if implemented, is also unlikely to cause a change in our rating on the parents of the four major New Zealand banks, although the parents are likely to need to strengthen their consolidated group capital to meet RBNZ requirements," S&P says. "That said, the stand-alone credit profiles, [or] SACP, our assessment of creditworthiness excluding any uplift due to likely support from a parent or government, of the New Zealand major banks are likely to strengthen as their capital levels increase. We currently assess the SACP of all four New Zealand major banks as 'bbb+'. Improved capital due to implementation of the RBNZ proposal is likely to lead to the SACP of one or more of these banks to strengthen to 'a-'." S&P does however, point to some challenges for the big four Australian banking groups - and the Australian Prudential Regulation Authority (APRA) - stemming from the Reserve Bank proposals. "APRA's prudential standard APS 222, related-parties framework, restricts exposures between the Australian major banks and their related entities. Currently, the standard sets the restriction at an aggregate exposure limit into each subsidiary, whether debt or equity, of 50% of the Australian parent's Level 1 Tier 1 capital. In July 2018, APRA released a discussion paper proposing to lower the requirement to 25% of the Australian parent's Level 1 Tier 1 capital." "An increase in equity capital invested in a New Zealand subsidiary, in conjunction with APRA's proposal to reduce the limit, will make the Australian banks more sensitive to this limit. Australian major banks with substantial operations in New Zealand, such as Australia and New Zealand Banking Group Ltd, will be affected more, potentially resulting in them being closer to the proposed 25% limit," says S&P. "We also note that if dividends are upstreamed and then reinjected as equity capital in the New Zealand subsidiary the risk weight would be 400% for the level 1 capital for the Australian parents. In contrast, retained earnings in the New Zealand subsidiary is treated as a capital deduction. We believe APRA will consider the New Zealand capital proposals in finalizing its discussion paper given the impact that the proposals may have on the calculation of intragroup exposures." S&P also points out APRA requires banks to meet minimum capital requirements on both a level 1 and level 2 basis. The credit rating agency estimates if the four major Australian banks wanted to maintain their overall level 1 Tier 1 capital ratios at about their current levels, they would have to inject A$8.1 billion if the Reserve Bank proposals go ahead. "To determine the capital requirement for the level 1 group, its offshore subsidiaries, New Zealand major banks, are deconsolidated and the capital investments into these subsidiaries risk weighted at 400%. An increase in the capital requirement of the deconsolidated subsidiary, New Zealand major banks, would therefore have an impact on the level 1 Tier 1 ratio of the parent." "It is our expectation that on a level 1 basis, the Australian major banks would at least aim to maintain their level 1 Tier 1 capitalization. Maintaining it would require capital injections at the group level," says S&P. "We estimate the additional requirement for the Australian major banks to maintain the level 1 capital ratio to be around A$8.1 billion, with a 1% buffer at the New Zealand subsidiary level. The calculation is based on an exchange rate of NZ$1 to A$0.95, a 400% capital charge for the increase in equity, and the level 1 Tier 1 capital ratio as of Sept. 30, 2018. Should the Australian major banks choose to inject capital, a capital injection could have a positive impact on the stand-alone credit profiles of one or more of the Australian major banks to 'a' from 'a-'. In addition to the improvement in their SACPs, our ratings on their hybrid debt instruments, which we notch off the SACPs, would also improve." What comfort is there for depositors who remain unsecured creditors of the bank in NZ given such poor credit ratings? A stand-alone credit profile is S&P's opinion of a debt issuer's creditworthiness, in the absence of extraordinary intervention from its parent or affiliate or related government, and is one component of a credit rating." It's lunacy that it's taken over 10 years since the GFC for anything to be done at all. We have interest-only debt in NZ which is at a level that is close to 50% of our GDP. What were the regulators and the last administration doing for the last decade? I think we've been lucky to have a credit rating maintained as high as it is.